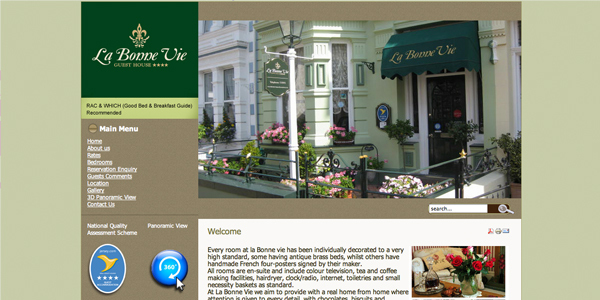 La Bonne Vie Guest House is a website to provide information into the Guest facilities and availabilities. The Customer specifically requested to have a website built that he could have control on a day to day basis. This website was designed using CMS allowing the customer full control of the website. This projected was developed in all fronts, including re-design of the logo, domain registration and web hosting provision. A simple website with all the tickets in the box!